Learn more about Astellas in the U.S.
You are now leaving Astellas.us. The website you are linking to is neither owned nor controlled by Astellas. NORTHBROOK, Ill., April 30, 2018 /PRNewswire/ -- Astellas today announced that Nahrin Marino, Deputy General Counsel, Legal, will be recognized as one of the most inspirational people in the life sciences industry by the Healthcare Businesswomen's Association (HBA). The HBA will honor Nahrin as a 2018 Luminary at its 29th Woman of the Year awards ceremony in New York City on May 3, 2018. HBA Luminaries are industry veterans who serve as role models in their company, actively mentor and sponsor others and help advance the careers of businesswomen. "Nahrin is widely known for her dedication to integrity, her desire to collaborate with colleagues and her vigilant focus on supporting the needs of our patients. These are among the values we embrace and actively promote at Astellas," said Catherine Levitt, vice president, Legal. "The HBA Luminary recognition is a testament to Nahrin's leadership and commitment to others. She inspires her colleagues to live the values that are fundamental to our Astellas culture." 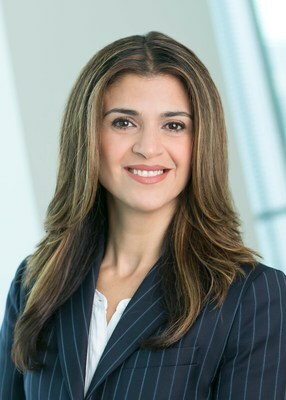 Nahrin joined Astellas in 2010 as senior corporate counsel, rising to her current position following several promotions and increasing responsibilities within the company. She began her career in the pharmaceutical industry as a professional healthcare representative in 2000. Nahrin is an active member of Astellas' Stellar Women Employee Resource Group, whose mission is to create an environment of empowerment and advocacy to advance and inspire women at Astellas. Astellas is a pharmaceutical company dedicated to improving the health of people around the world through the provision of innovative and reliable pharmaceutical products. For more information on Astellas, please visit our website at www.astellas.us. You can also follow us on Twitter at @AstellasUS, Facebook at www.facebook.com/AstellasUS or LinkedIn at www.linkedin.com/company/astellas-pharma. The Healthcare Businesswomen's Association (HBA) is a global nonprofit organization, with chapters in the US and Europe, committed to: achieving gender parity in leadership positions; facilitating career and business connections and providing effective practices that enable organizations to realize the full potential of their female talent. The HBA accomplishes its mission through strong business networks, education, research, advocacy, and recognition for individuals and companies. For more information, visit www.HBAnet.org. Copyright © 2018 Astellas Pharma US, Inc.